The Basilica of the National Shrine of the Assumption of the Blessed Virgin Mary, more commonly known as the “Baltimore Basilica” is the first Roman Catholic cathedral built in the country. 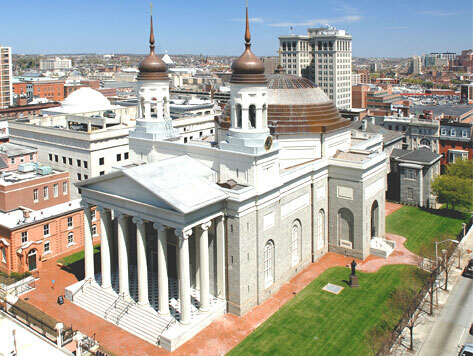 The church is a co-cathedral of the Archdiocese of Baltimore, and is ranked a Minor Basilica and National Shrine. The church welcomes visitors from all over the world, and is considered a historic landmark in Baltimore. In addition to daily mass, the church offers educational tours, concerts, and educational lectures.